The FES Watch, an e-paper timepiece developed by a Sony subsidiary, first broke cover a year ago on Japanese crowdfunding site Makuake. Since then it’s expanded to Sony’s own crowdfunding portal First Flight, and this month it’ll finally see a release — albeit a limited one — in Japanese stores. The MoMA Design Store on Omotesando will carry the FES Watch from this Saturday, while Isetan in Shinjuku — the boutique department store that Apple used for the Apple Watch launch — will sell it from December 1st. In choosing these two locations, Fashion Entertainments, the Sony subsidiary producing the FES Watch, is clearly taking a design- and style-first approach to the release of its first product; Tokyo’s countless electronics stores are being left out for now. The FES watch — which really is just a watch, not a smartwatch — will be sold through the Japanese MoMA online store, too, and it’s also still available through First Flight with shipping set for Saturday. Sony isn’t revealing anything about a wider release except to say that it plans to bring the FES Watch to other stores in time. The watch sells for a tax-inclusive price of ¥29,700, or about $242. Owners of the Apple Watch can now download the software that allows for richer apps. The long-awaited software update for Apple’s first wearable device was made available on Monday following a delay brought about by a bug found during the testing process. Apple last Wednesday delayed the Watch OS 2 software, which was supposed to greatly enhance the capabilities of its smartwatch, including allowing the device to better run third-party applications. The company didn’t say at that time when the software would be available. The delay of Watch OS 2 echoed the setback a year ago when Apple’s iOS 8 mobile software for iPhones and iPads launched with numerous bugs that caused problems with Wi-Fi, the Touch ID system and other functions. An update that quickly followed caused even more issues. Apple finally resolved the problems more than a week after iOS 8 launched. Apple, which updates its mobile software every year, needs to keep the system fresh to maintain customers’ interest in its products and to ensure that software developers keep making apps for its devices. The refreshes are also vital to keep Apple in step with competitors like Google; predictive technologies in iOS 9 serve as a counter to the predictive capabilities that Google Now and Google Now On Tap can deliver to Android device users. A high percentage of Apple’s device owners update their phones and tablets within a few weeks or months after the software hits the market. As of August 31, 87 percent of Apple mobile device usershad upgraded to iOS 8, while 12 percent were still using iOS 7, leaving a tiny fraction running yet older versions of Apple’s mobile software. On Monday, Apple said that half of its base has upgraded to iOS 9, which was released last Wednesday. By comparison, as of September 7, only 21 percent of Android device users had installed Lollipop, the latest version of Google’s mobile software, which launched in late 2014. Given the new capabilities found in Watch OS 2, it’s likely that Apple Watch users are eager to upgrade. The update issued Monday lets apps run directly on the Apple Watch, meaning they can tap into features like the heart-rate sensor, microphone and video playback. Previously, all apps had to run through an iPhone, which limited their capabilities and caused many Apple Watch users to complain about slowness and lack of functionality. Other features include new watch faces, a nightstand mode and a “time travel” feature to look at upcoming appointments, alarms and events. Some apps that take advantage of Watch OS 2 include the AirStrip patient-monitoring app, CNN, Facebook Messenger, the Kayak travel-booking app, the iTranslate language translator app, the Strava fitness-tracking app and the GoPro app that acts as a remote viewfinder for the camera. Samsung last week announced the Gear S2 and Gear S2 Classic smartwatches at the IFA trade show in Berlin. The product specs of the Gear S2 and Gear S2 Classic are the same. The main difference between the two is in the design of their faces — the Gear S2 Classic looks more like a regular watch, while it’s obvious the Gear S2 is a smartwatch with apps. They run Samsung’s Tizen operating system and can sync with any device having 1.5 GB of RAM or more, running Android 4.4 or later. Designed by Italian post-modernist designer and architect Alessandro Mendini, both watches are round and customizable, have various sensors, and come preloaded with apps. Optional 3G connectivity includes an e-SIM card with voice capability, allowing greater functionality without a smartphone nearby. The circular look “is a smart choice for a smartwatch design, because the most popular traditional watch designs are round,” remarked Angela McIntyre, a research director at Gartner. The Gear S2 (and Gear S2 Classic) has a 1.2-inch circular Super AMOLEDscreen with 360 x 360 resolution at 302 ppi. It has a 1-GHz dual-core processor. The watch is always on, and it has a battery life of two to three days, Samsung said. It can be charged wirelessly. The Gear S2 has 4 GB of internal memory and 512 MB of RAM. Users can access contacts, notifications, messages and email. It supports voice input, emoticons and keypads, and comes loaded with preset text responses. Other features include voice memo, Find My Device, power-saving mode, safety assistance and a privacy lock. The Gear S2 comes preloaded with health and fitness apps and can display news, maps, navigation, weather information and the user’s schedule. It also has a music player and a gallery. It is IP 68 certified, effectively making it dustproof and waterproof. It supports WiFi, Bluetooth 4.1 and near-field communication. Packed inside the 11.4-mm thick Gear S2 are an accelerometer, gyroscope, heart rate and ambient light monitors, and a barometer. A rotating bezel lets Gear S2 users navigate the interface. Side buttons access various preset apps and functions. The apps on the Gear S2 show Samsung “can utilize the whole watch face, which is still a challenge for the Moto 360,” Gartner’s McIntyre told TechNewsWorld. NFC technology enables mobile payments on the S2 and the inclusion ofFidMe allows users to store digital loyalty cards. FidMe is one of Samsung’s five global partners for the Gear smartwatch, the others being Yelp, Baidu, Apposter and CNN. Samsung is working with partners across various industries to broaden the applicability of its smartwatches. The S2 can be used to control smart locks powered by UniKey and Yale Real Living locks. “Samsung likes to be out on the leading edge, and their vision is an NFC wearable hooking up with an IoT ecosystem,” IDC’s Llamas remarked. Developing Tizen apps will be critical for the success of Samsung’s Gear line, said Al Hilwa, a program director at IDC. More than half of the Apple Watch owners polled said they find Apple Pay “magical,” while another 42 percent see it as “convenient,” according to data from research firm Wristly. Apple Pay is proving popular with many Apple Watch owners. A hefty 80 percent of 1,000 Apple Watch owners surveyed in the US and UK by research firm Wristly have already used Apple Pay at least once. Among the people who haven’t used it, 5 percent said they don’t “perceive a benefit,” another 5 percent said they have security concerns, and around 15 percent said they their payment needs are already being met. But 29 percent of the non-users said one of the main reasons they don’t use Apple Pay is because their credit card provider doesn’t support it. Apple Pay launched in the US in October as Apple’s first foray into contactless mobile payments. Using an iPhone 6, iPhone 6 Plus or Apple Watch, people can pay for items on the go at supported retailers via NFC (near-field communication) technology. Apple Pay usage is notably high among the Apple Watch owners polled for several reasons. But a major one is likely convenience. To use Apple Pay with an iPhone, you have to pull the phone out of your pocket or purse and then make the transaction via the Touch ID fingerprint sensor. With an Apple Watch, your payment method is already there on your wrist. All you need do is double-tap the watch’s side button, select the credit or debit card you want to use and hold the face of the watch to the payment terminal. The watch will vibrate, and a check mark appears on the screen to confirm the payment. You don’t need a password or Touch ID as you do on an iPhone. 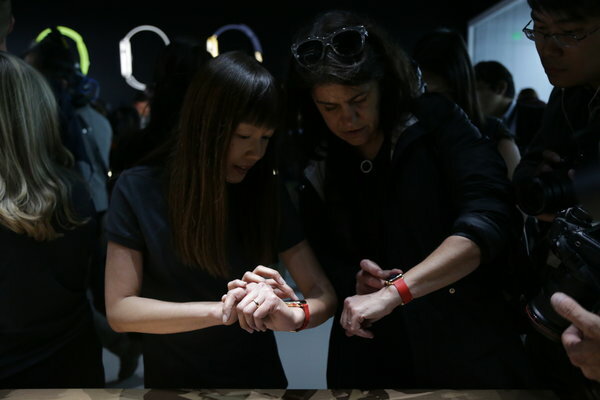 The watch will ask for a password if you take it off your wrist. But as long as you keep it on, a simple double-tap does the work. That convenience may be the reason why half of the Apple Watch owners polled who use Apple Pay called the service “magical,” while another 42 percent dubbed it “convenient.” Only 4 percent found it “not that useful,” while another 3 percent said they have other concerns about using Apple Pay. Further, 79 percent of the Apple Pay users said they prefer to use it on their watch versus their iPhone. Drilling down further, 62 percent of those polled who use Apple Pay said they prefer to buy from retailers due at least in part to the business’s decision to support Apple Pay. And 86 percent of those people said they look for the Apple Pay logo when they’re at the checkout counter. If Apple’s payment option is available, 81 percent of Apple Pay users said they will use it. Though most of the Apple Watch owners polled may enjoy Apple Pay, Apple still faces a challenge expanding the service’s reach, both in the US and abroad. In the US, Apple has lined up a healthy list of banks and credit card companies to support Apple Pay. But it’s still facing a long haul getting more retailers to jump on board. Retailers have to set up the necessary NFC terminals in order to accept Apple Pay, a process that takes time and money. In the meantime, rival services such as Android Payand Samsung Pay are now ramping up. Samsung Pay doesn’t require NFC and can work with any magnetic strip card reader, so it holds at least that advantage over Apple Pay. Apple Pay recently hit the UK with support from nine banks so far and another five coming soon. But Apple Pay has been hitting obstacles in such regions as China, Canada and Australia where banks are balking at the high cut of transaction fees that Apple wants to grab from them. Can this watch change your mood? Bad moods can come out of nowhere and last for hours, ruining perfectly pleasant afternoons with their lingering pessimism. But the latest form of wearable tech claims to have an antidote, with a watch that can apparently transform your mood. The watch, Doppel, uses electric pulses to clam you down or boost your energy, vibrating against your wrist with a gentle electronic beat. One stroke of the dial creates a slow, calming beat, while a quick squeeze of the watch creates a faster, energising pulse. The pulsations are designed to have a similar effect to music, and are imperceptible to anyone other than the watch-wearer. Doppel was designed by four students – a mechanical engineer, a material scientist, a quantum physicist an a designer – at a double masters program at Imperial College and the Royal College of Art. The group ran tests on more than 40 people to determine the effects of their watch. The device is currently a prototype, but has the backing of 820 Kickstarter donors who have pledged £111,194 to turn Doppel into a widely-available product. The device could be useful for sportsmen – “I use it for running a lot, because it can energise you at the start of a run and help you keep pace with a beat,” says Bennett – but once Doppel is a reality, he expects the device will be used by busy professionals. At £200 for a limited edition Doppel, the product isn’t cheap. When there are thousands of apps out there all claiming to alter your mood for just a couple of pounds, it could be difficult to justify forking out £200 for the privilege of having a small heartbeat pulse gently against your wrist. But if you’re stressed out and overworked, then perhaps £200 is a small price for a moment of true calm. The value of a wristwatch is typically defined by its materials, design, features and brand. For the new Apple Watch, all those factors will apply, but so will something else: apps. 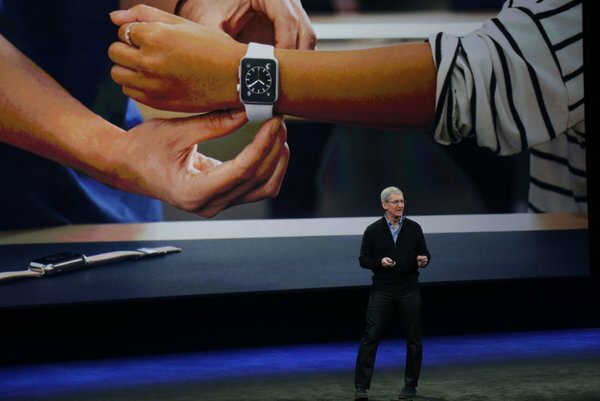 Apple on Monday held a media event to explain how its long-awaited Apple Watch works and how much it costs. 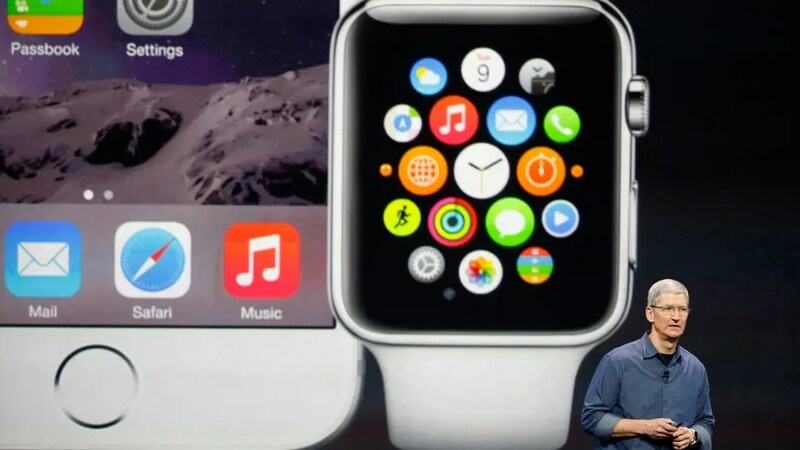 Just as important, it also demonstrated what the watch was capable of doing with apps made by other companies. If the watch is going to succeed, those other companies will have a lot to do with it because few devices — not even those made by Apple — will sell well without the help of a whole lot of app developers. When Apple released the iPhone in 2007, it was essentially a blank slate. When the App Store opened a year later, the device became much more than a fancy phone. Just by downloading an app, the iPhone could become a musical instrument, a medical device, a TV remote and gaming device. It became the ultimate Swiss army knife of gadgets. For the Apple Watch to be remotely as successful, Apple will have to find a way to take that world of apps to the wrist. But a watch presents unique challenges with its tiny screen. And the way app developers make money from it will be different than with other Apple products. Unlike the iPhone or iPad, the Apple Watch is not a stand-alone product. It relies on an iPhone to fully operate, partly because the brains of watch apps will live on the iPhone. 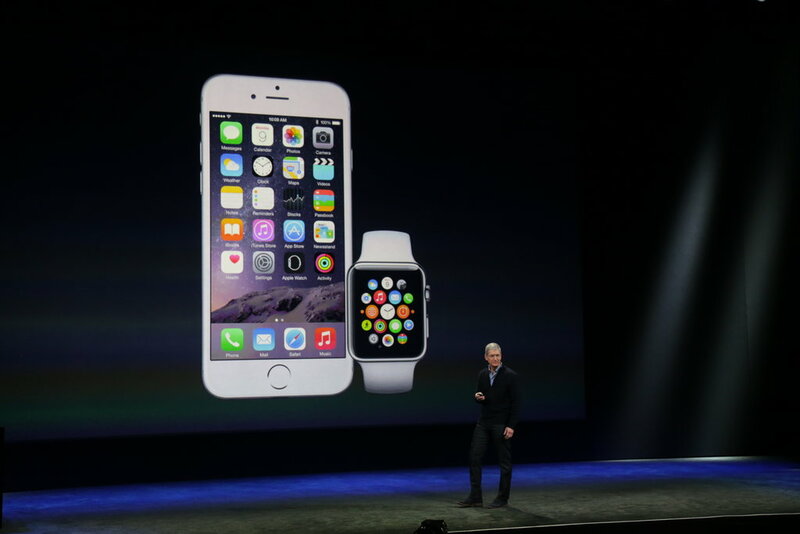 So users will have to install watch apps on the iPhone as well. The economics of that combination are tricky. Developers working on watch apps have to make an iPhone app first and expand it to include support for the watch. And it remains unclear whether they can double-dip. Apple has not said whether developers can charge for the iPhone app, then charge again for the watch extension. Still, companies are trying, even though some are worried the watch’s tiny screen can limit features or — even worse — ads. Christian Gaiser, chief executive of Retale, said his company found a path to using a watch app to complement its smartphone app. Retale’s iPhone app displays weekly deals for retailers like Walmart and Target. Retale users who see something they want to buy in the iPhone app can push the nearest location of the retailer to the watch app, which will map out turn-by-turn directions on the watch screen. Retale collects fees from retailers whenever customers engage with their ads, so the watch app is meant to increase usage of the smartphone app, Mr. Gaiser said. At its event, Apple also demonstrated an app from Uber, the ride-sharing service, to summon a car. The watch app shows where the driver is on a map, and from there, the user can place a phone call to the driver. Apple also showed an app developed by Starwood Hotels. Starwood’s iPhone app can be used to book a hotel room. The watch app sends a notification to the watch wearer when he or she is near the hotel. When the guest arrives at the hotel, the watch app shows the room number, and after that the watch can unlock the user’s room door just with a hand wave over the lock. Unlike past Apple products, the Apple Watch has a complex pricing structure. Because a smartwatch is both device and fashion accessory, Apple designed the watch to be highly customizable to suit the tastes of various users, from fitness buffs to collectors of luxury watches. Apple will offer three models, each with a casing made of a different material: Watch Sport, a version with an aluminum case; Watch, which has a stainless steel case; and Watch Edition, which has a case made of 18-karat gold. Each model comes in two case sizes — 1.5 inches and 1.65 inches. And for each watch, customers will be able to choose from a variety of interchangeable bands in different colors and materials. The cheapest model is the Apple Watch Sport, the one tailored to athletes, which starts at $350. The larger Apple Watch Sport costs $400. The next step up is the Apple Watch, with a more fashionable stainless steel case. The smaller version of this watch costs $550 to $1,040, and the larger one costs $600 to $1,100. The price range for both depends on the band. 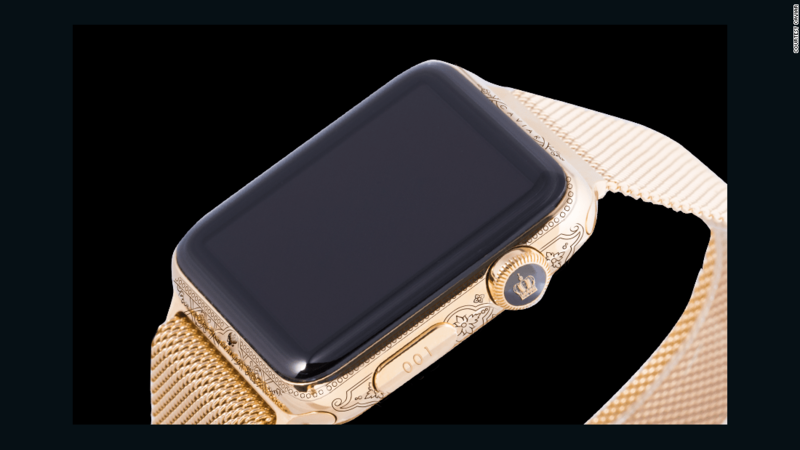 The golden Apple Watch Edition is a sure sign that Apple has entered the luxury market. Pricing for this high-end version starts at $10,000. Preorders start April 10, and the watches will go on sale on April 24. They will first be available in a select number of countries, including the United States, Australia, China and Japan. 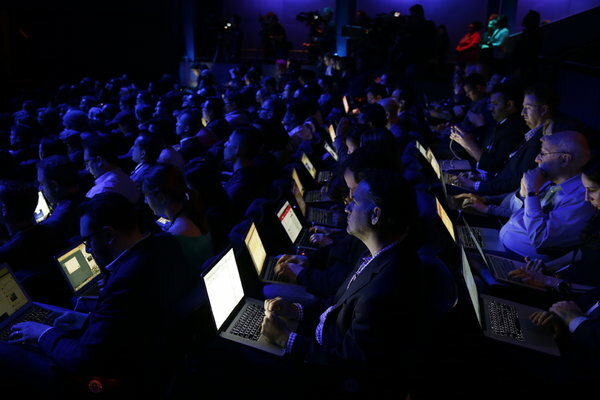 At the event, Apple also stressed some of the signature features of the device. The company has highlighted the crown as its latest signature innovation for controlling a device, similar to the mouse for the personal computer, the click wheel on the iPod and the touch screen for the iPhone. On the Apple Watch, the crown can be twisted to zoom in or out of the screen or to scroll through a web page. You can take and even make phone calls, as long as your iPhone is nearby. “I have been wanting to do this since I was 5 years old,” said Timothy D. Cook, Apple’s chief executive. The watch includes a heart rate sensor and a sensor for tracking movement to complement fitness applications. It has a chip that helps it make wireless payments. 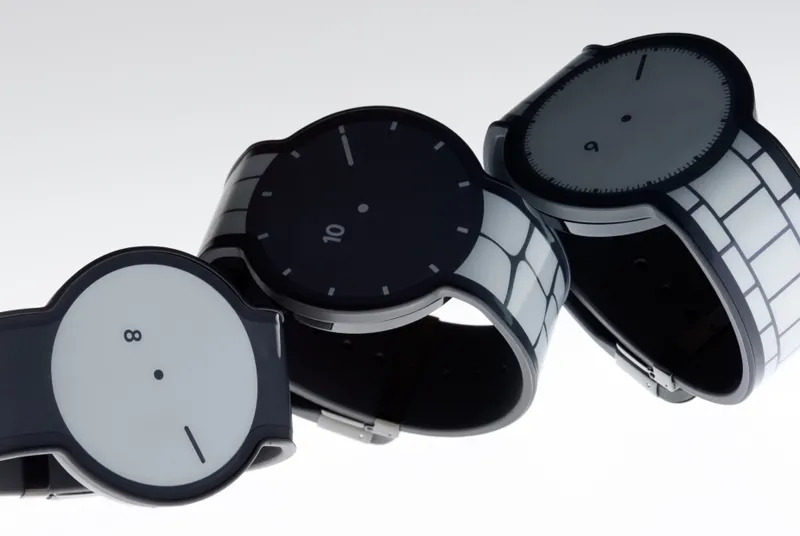 The watch also includes Digital Touch, an application that enables a new method of communication between watch users. Watch wearers can scribble sketches on the watch screen and send them to one another, or even send their heartbeats. Apple also added to the watch a so-called taptic engine, which taps users on the wrist with a tactile sensation when they receive alerts, messages or notifications. Apple said the watch’s battery would last 18 hours. Apple also announced a new MacBook laptop with a 12-inch high-resolution “retina” display. It weighs two pounds and measures 13.1 millimeters at its thickest point. It also includes a new port called USB-C. It is a versatile port that can be used for charging, plugging in a video monitor, or hooking up a USB accessory like a keyboard. The MacBook’s starting price is $1,300 and it begins shipping April 10. Apple on Monday also released upgrades for some of its other notebooks, including the MacBook Air. Apple could sell 20M smartwatches this year, nabbing a quarter of the wearables market, market researcher says. But a flop would hurt everyone. The Apple Watch will play a major role in the wearables market this year and beyond, according to research firm CCS Insight. Worldwide wearable sales will spike in 2015, jumping 158 percent year over year to 75 million units, CCS Insight predicted Tuesday. The research firm says that the Apple Watch, set for release in April, will become the “most successful smartwatch ever” and sell up to 20 million units this year. The highly anticipated smartwatch, unveiled in September alongside Apple’s new smartphones, will start at $349 and come in three versions: standard, luxury and sport. CCS Insight’s prediction for the Apple Watch is certainly on the high end. Piper Jaffray analyst Gene Munster in December predicted sales of 8 million for 2015. Wall Street has forecast sales of 12 million to 15 million. Apple has reportedly asked its suppliers to manufacture 5 million to 6 million watches for its first quarter of release. All eyes will certainly be on the Apple Watch when it finally launches. Smartwatches have been available for the last couple of years from companies like Pebble, Motorola, and LG, but none have been able to attract widespread consumer interest. 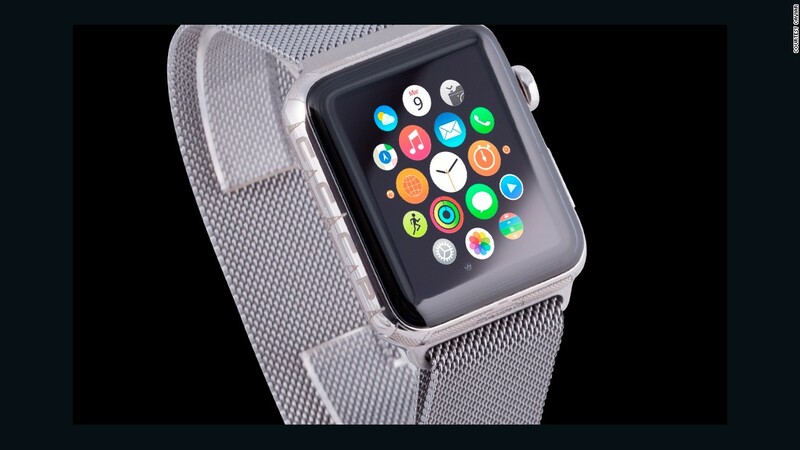 Indeed, smartwatches are still a niche market that may or may not succeed, depending in part on the impact that the Apple Watch has on the industry, according to CCS Insight. While it’s impossible to absolutely predict what kind of response to expect, some folks are trying. Over the last several months, Piper Jaffray’s Munster has been surveying nearly 1,000 US-based iPhone owners to gauge their likelihood of buying an Apple Watch. He found that the figure was at an all-time high of 10 percent in September 2013 (a year before it was announced) but has since fallen to 7 percent of current iPhone owners. Looking beyond Apple Watch, CCS said it sees the wearables market in general growing over the next few years. The company says that by 2018, 172 million wearables will be sold worldwide, up from the 29 million that were sold in 2014. The company says that smartwatches and fitness trackers will be the most popular wearable devices by 2018, with others like wearable cameras and eyewear grabbing just a small sliver of the market. Despite claims that Apple Watch will be a make-or-break for smartwatches, CCS seems bullish on the technology. By 2018, the company says that 44 percent of all wearable sales will be in the smartwatch category. Eyewear, like the discontinued-for-now Google Glass and Sony’s just-announced Smart EyeGlass, will post 3 million unit sales in 2018, according to CCS. But unlike other wearables that will cater mainly to consumers, CCS argues that eyewear will be mainly sold to businesses that have real-life applications for the technology. By 2018, over 340 million wearable devices will be in use worldwide — a figure eight times greater than now — according to CCS Insight’s predictions.